School Librarian | I will make everything around me beautiful, that will be my life. This year marks my 12th year as an educator. During this time, I’ve grown in countless ways and learned so much about serving and teaching others. Since leaving the classroom and moving into the library, I’ve gained a different perspective on professional growth and I’ve come to realize that you can’t wait for opportunities to be provided for you – you have to create opportunities for yourself. As a librarian, it’s easy to feel like a lone soldier within the school building. Even though much of our position revolves around collaborating with our colleagues, we are often left out of professional learning opportunities such as PLCs and professional development experiences. I’m not implying that leaving us out is ever intentional, it’s just hard to include someone who is the only person like them in the building. But…I’m not someone who is okay with being left out. I thrive on collegial conversations and spending time collaborating with others, whether it’s librarians or classroom teachers. This is probably why I’ve become so enamoured with Twitter and my PLN over the years! My PLN, that I’ve built through Twitter and blogs, is my go-to place for inspiration, assistance, ideas, sharing…and the list goes on and on. While my PLN certainly fills my bucket, recently I started thinking about how sad it is that I’m not getting more of this type of collegiality from people that I’m around everyday. After a bad experience in a PLC that I attended a few times in my building, I’ve really had no face to face professional outlet other than the handful of teachers that I collaborate with regularly. And I’m completely hesitant to write about it, because it’s new and it’s precious and I don’t want to seem like I’m promoting exclusivity or leaving people out. But I did this thing and I think people need to hear about it and know that it’s okay to provide opportunities for yourself and others if you’re not getting what you need. So, what did I do? I decided to start my own PLC with a handful of trusted colleagues in my building. And I didn’t ask for permission because I know that my principal is in the business of growing leaders and if she ever reads this, she won’t be upset, she’ll be proud! This PLC is different – we don’t focus on testing, data or numbers. We don’t use our time to complain about our school, students, or what we don’t like about our jobs. We don’t simply disseminate information or tackle things that could easily be communicated in a short email. What WE do is focus on positivity. We brag about our students, celebrate our successes, share our ideas and desires, ask each other for help, work together to solve problems and lift each other up. In the end, this is what builds camaraderie, family. Along with another colleague, we created a list of who we’d like to invite to be a part of this thing. We thought about who we felt needed this same type of experience. I created hand written invitations, made a dinner reservation and our first “meeting” happened. We spent hours just hanging out. We laughed and talked about what each of us needs, our vision of what something like this could be. We decided to have 2 gatherings a month, one on campus and one off campus, as well as create a virtual meeting space using Google Classroom. This way we can share inspiring things any time we feel like it. Our 1st on campus meeting happens on our last required workday, June 10th. Our agenda – in 5 minutes or less, each person will share 1 thing he/she wants to explore, learn, discover, improve on, or read over the summer. 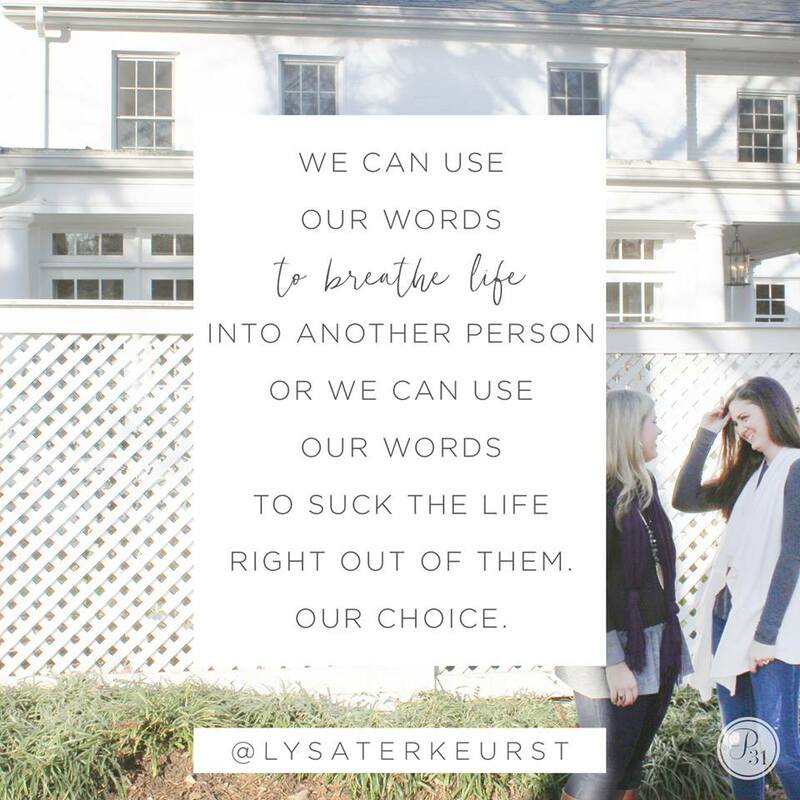 We will listen and become each other’s accountability partners. I think this is a fabulous way to end our school year – being surrounded by people who accept and appreciate you. So I did this thing, and it’s not just mine, but it belongs to all of us. And if you’re not happy or not getting what you need, you need to do a thing too! As I begin to write this post, I can’t help but laugh. I’m not laughing because what I’m going to write is comical, it’s because, once again, my post will begin with me being inspired by one of my favorite EDU she-roes, Pernille Ripp. In April, Pernille wrote a fabulous blog post on her blog, Blogging Through the Fourth Dimension, all about using review to give students more choice with curriculum. Her idea to review standards covered by setting up small group activities and letting students choose what to work on, left me feeling so inspired. After reading the post, I immediately shared it with my colleague, a 9th grade English teacher. Ms. Page is always willing to try new things, explore new ways to engage students, and doesn’t fear the work that goes behind creating intentional and innovative learning experiences for her students. Once she read the post, she was sold and our work began. Our 9th graders are required to take an English I NC Final Exam. As most of you know, state tests are very hard to review for, since teachers are rarely given any heads up about what content and skills will be tested. Because I knew it would be impossible to pinpoint specific content for the test, I asked Ms. Page to reflect on 4-5 major skills that she felt were most important for her students to master in order to be successful English students. The idea of looking at an entire semester’s worth of course work and narrowing it down for review was super overwhelming for her. When I framed it in the context of a limited amount of skills, Ms. Page immediately knew what she wanted her students to work on during the last two weeks of the class. Taking Pernille’s idea as our lead, we reconstructed her model to fit our students. First, we decided on the skills that we would be reviewing and found ways to identify those skills in a way that would be accessible for students. Ms. Page decided on 4 major skills areas: figurative language and diction analysis, central idea, text structure, and theme. Next we thought about how we’d like to structure the review itself. We loved the way Pernille had her activities organized in an easy to read chart and decided to do the same. We are a 1:1 Chromebook school, so we created a Google Doc that would be a living instrument we could add to as the review progressed. We created a shortened link for the doc using Bit.ly, so students would be able to easily access it on a daily basis. We also posted the link to the doc in Ms. Page’s Google Classroom. Having a digital document also gave students the flexibility to work on assignments when they are absent from class. We decided to give ourselves 2 days for each of the skills, plus one extra day for reflection at the end. Ms. Page and I both agreed that we wanted her kids to have room to spread out and work, so during these 9 days, her classes met in the library. I had the stations set up with all the materials students would need, so they came in and were able to get started right away. Each day students were given 60 minutes to work on their choice assignment for the review column we were tackling. The last 25 minutes of class were used for guided review of reading passages with Ms. Page. Another part of structuring the review was the idea of the review assignments themselves. Ms. Page and I are both the type of teachers who like to give our students intentional, well planned assignments that will be challenging and engaging. This can be hard with reviewing for state tests, since most of these are in multiple choice format. The first thing we decided to do was to match each skill with 1-3 anchor texts. This way, no matter which assignment students chose, they would all have the context to discuss the skill together. The anchor texts were also great because during the last 25 mins of class each day, Ms. Page could use those as the multiple choice question review. Since students had already read and worked with the text(s), they had more time to take a deep dive into the questions and talk about them together. Next, we decided to include 4 assignment choices for each skill. When Ms. Page created the assignments, she included various types of learning styles. Some focused more on writing, while others allowed students to create illustrations and videos. There was also an assignment thread through each skill that focused on working with Ms. Page in a small group. This option proved to be great for students who lacked confidence in their abilities or needed more guided instruction on a particular skill. Once the chart was filled with assignments, we discussed the best way to have students choose what they were going to do during the review period. We toyed with the idea of having them rate themselves in each skill area and scaffolding the assignments from most to least challenging; however, we quickly dismissed this, realizing that our goal was to let students review their mastery of skills in a way that meets their learning style, not really to judge how challenging or easy a skill was. After taking a night to think about this, Ms. Page decided that she would use the day before the review to have a conversation with her students about the four mastery skills. They would talk about what the skills are, things that are hard about mastering each skill, and what mastery looks like. She also gave her students a short, Google Form survey to ask them which type of assignment they’d like to complete for each skill – the choices were general, but matched the assignment types we had already created in our chart. This way, we had an idea of how many students would be doing each assignment for each of the skill columns; however, we didn’t hold students to their choices if they felt strongly that they would benefit from a different assignment. On the second day of reviewing each skill, students turned in all completed work to the assignment that Ms. Page created in Google Classroom. On the 9th day, we surveyed students about their experience with reviewing in this way. Overall, we found that most students associated reviewing for an exam with doing paper/pencil reading packets and piles of reading passages with multiple choice questions. To me, this was so powerful – prior to this activity, most of her students saw review as just another, boring way of going through the motions. They didn’t associate it with choice or creativity. It was obvious from both the survey results and by how engaged they were during the whole process, that students found this type of course review both fun and beneficial. This type of review took a lot of planning and front loading, but it is something that Ms. Page and I will continue to do each semester. And since we already have the skeleton created, we can easily change the assignment choices and reading passages from semester to semester if we chose to. The best part of this entire learning activity was seeing her students engaged in real, intentional review that did so much more than just test mastery of skills – it gave students the confidence they need to conquer the test! This to me, is invaluable. Today one of my colleagues wrote to me, “I hope you have the space to be gentle with yourself and the time to feel your feelings.” - Today was very hard. I am so incredibly sad. Words are so valuable and I’m so grateful for hers tonight.